The Jail Dogs program was started two years ago by Sheriff Butch Conway and Dennis Kronenfeld, founder of the Society of Humane Friends and Operation Second Chance. I was working on a TLC show called “Cellblock 6 Female Lock Up” that was filming in the jail at the same time the Jail Dog program started. I was invited by my officer friends to visit the dog pod, and that’s when I came up with the idea of shooting video to help get the dogs adopted so more dogs could be saved. This was my first time working with male inmates, as the inmates from the TLC show were female. 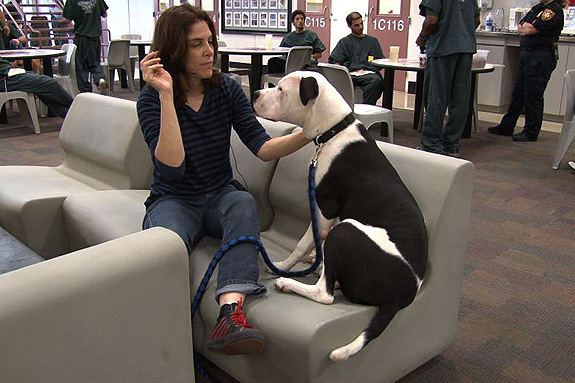 I have seen the most amazing transformations in both the dogs and inmates. The inmates love showing off the new tricks they teach the dogs, and they really do take such great care of them. I always tell them that I should bring my dogs in for some training because they do such a terrific job. 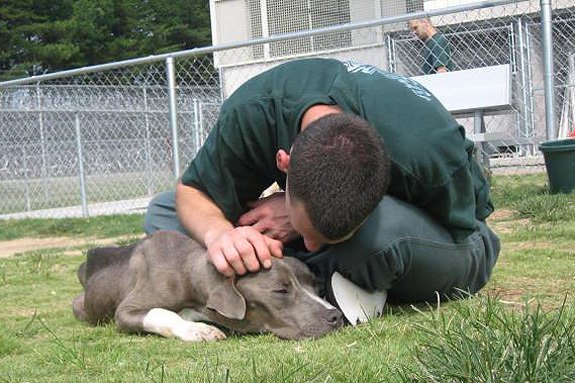 This program gives the inmates and dogs a second chance at a good life. 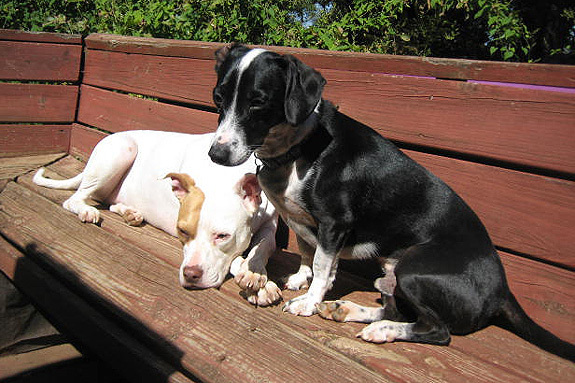 These dogs were seconds away from dying when they were rescued. The inmates give them so much love, love that a lot of them never knew they had inside of them. It’s a beautiful thing to see. I worked in Hollywood on feature films for many years, and that was an amazing learning experience. My true passion has always been documentary filmmaking. When I first saw the Jail Dogs and how it changed the lives of both the dogs and inmates, I knew this was something that I wanted to be a part of and that. Shooting video was a way to show the world just how transformative this program is. I try to visit the jail often so I can post updates and video of the dogs on my website to help get them adopted and also to help spread the word and get the Jail Dog program in jails everywhere. I grew up in North Miami Beach. I always had pets growing up, and my mom and sister are also animals rescuers – from wild birds and rabbits, to squirrels, dogs and cats. We always had furry friends in the house. 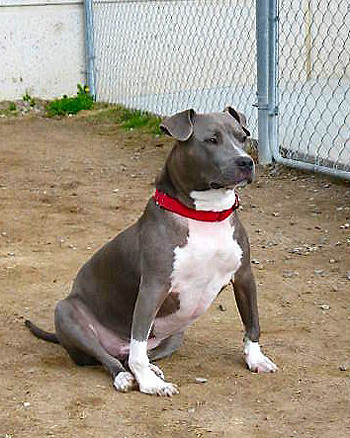 My dog Leeloo is a pit bull and she is 4 years old. I found her when she was about 3 months old. I was dog sitting near the penitentiary, and out of the corner of my eye I saw this puppy with big eyes and a very scrawny body sitting there looking all sad. I went inside to get some dog biscuits, and when I came out she was gone. I called for her and she appeared and came over to me and just had the saddest look I have ever seen. I asked her if she wanted to go home with me, and I picked her up and put her in the car. 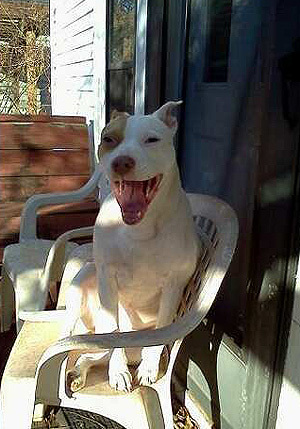 At home my 12-year-old dog Dakota was dying of bone cancer of the jaw, so I didn’t think I could keep another dog. I called around to animal rescue groups, and everyone was full. The minute Leeloo came into the house, Dakota took care of her, and she took care of him right up until he died about two months later. Now Leeloo lives with her best dog buddy Jax, Karma Kitty and Ki Pu the ferret. Leeloo is the queen of the house and the greatest, most loving dog I have ever known. An ultimate love story! 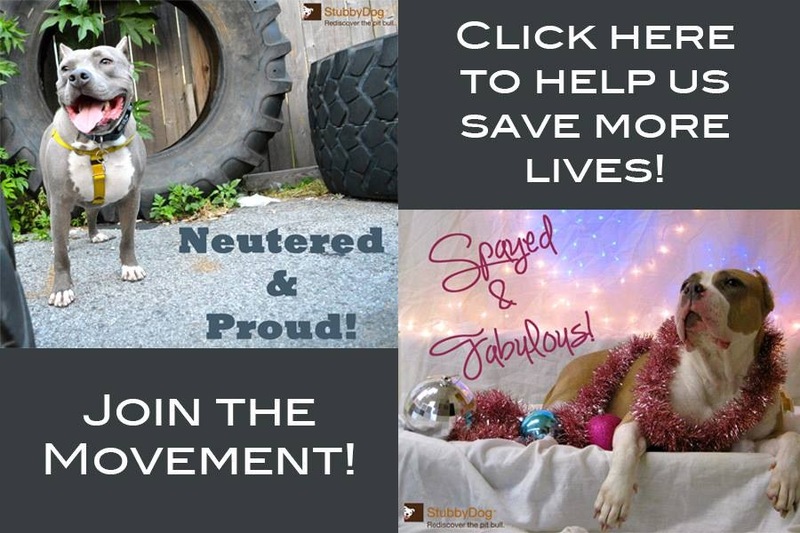 I’ve heard of programs such as this and how both human and canine thrive! That’s what it’s all about showing and giving love. LOVE is the cure for ALL things! @AmyJackson Thanks for the update Amy! Keep up the amazing work you do!